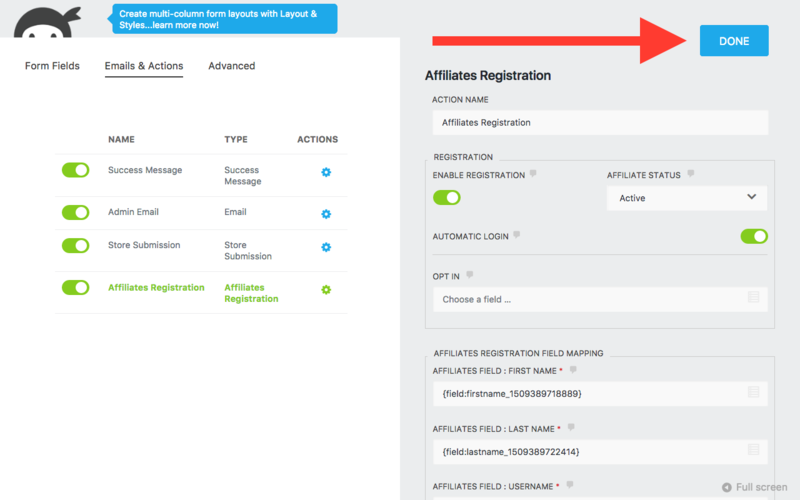 Our integration with Ninja Forms makes it really easy to create customized affiliate registration forms. 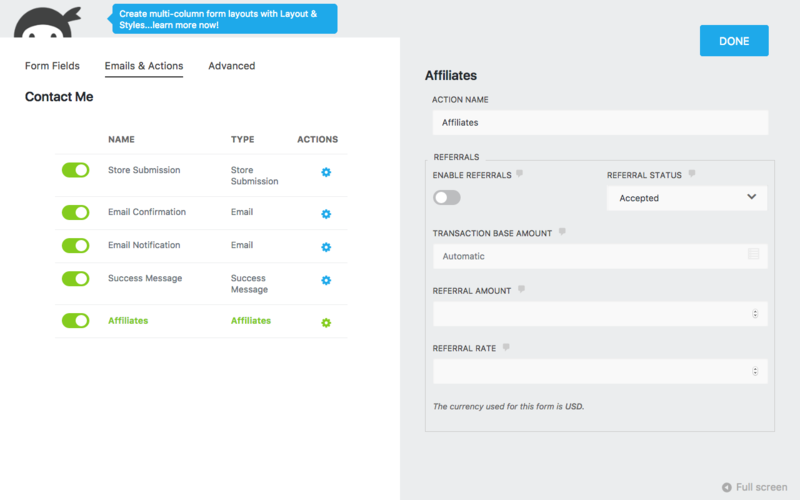 In addition, our integration also records referrals for form submissions, allowing your affiliates to earn commissions on referred leads and sales handled through Ninja Forms. Affiliate Registration Forms: Allow affiliates to sign up through forms handled by Ninja Forms. Form Referrals and Leads: Allow affiliates to refer others to the site, record referrals to grant commissions on form submissions and gather leads with Ninja Forms. 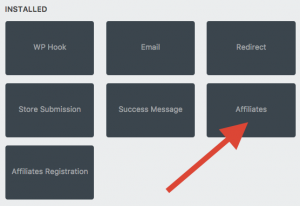 This integration works with all flavors of our affiliate marketing plugins for WordPress, including the free Affiliates and the premium Affiliates Pro and Affiliates Enterprise. When used with our premium plugins, you will gain additional control over referrals, referral rates and other aspects. Go to your WordPress Dashboard. Under Plugins > Add New > Upload Plugin choose the downloaded zip file. Refer to the documentation pages for setup and usage instructions. Please refer to the following documentation pages on how to use this integration.